In a release of their preliminary earnings for the fourth quarter of 2017, LG says it took in about KRW 16.9 trillion (about $15.8 billion US) in revenue, with KRW 366.8 billion ($343.2 million US) in operating profit. This isn't the billions of dollars in profit one expects from a company like Samsung, but it's a significant improvement over LG's showing just one year ago, where it suffered a company-wide Q4 2016 loss of $223.98 million. In Q3 of 2017, their mobile unit alone lost them a whopping $331.37 million, though the company as a whole turned a $455.7 million profit. In Q2, LG lost a total $117 million, though only about $180,000 of that was due to losses by the mobile unit. LG did not make any distinctions between its various units in this preliminary report, so as of now we don't know how this uptick in year-over-year performance is affected by phone sales. While LG's flagship devices of the past year, the G6 and the V30, are generally considered a positive change in direction from their predecessors, they haven't done anything to alter the overall dynamics of the industry. 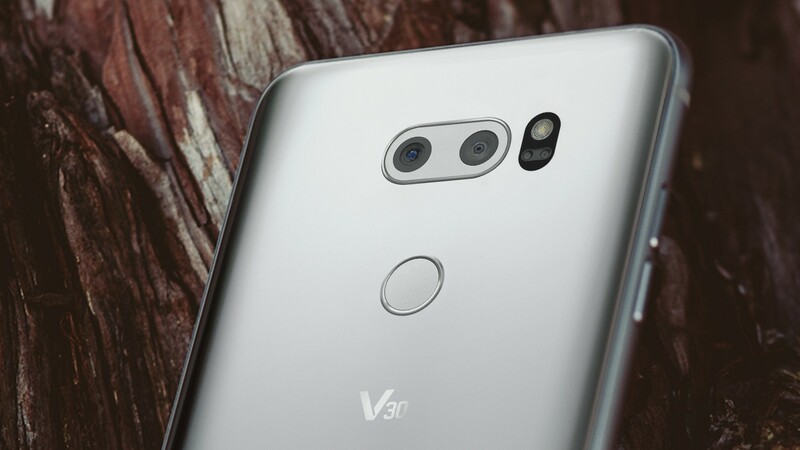 The V30 was launched during Q3, so it's possible that during Q4 it fared at least well enough to move the needle for LG. We'll have to see what they say when they present their official earnings report later this month. LG's stock is down 5.41% on the Korea exchange as of this writing. SEOUL, Jan. 8, 2018 — LG Electronics Inc. (LG) today announced its preliminary earnings results for the fourth quarter of 2017. Tentative consolidated revenues for the fourth quarter of 2017 is nearly KRW 16.9 trillion with an operating profit of KRW 366.8 billion. Revenues are expected to be 14.8 percent higher with operating profit turning from a loss to a gain from the same quarter one year prior. Total annual sales of almost KRW 61.4 trillion is expected to be 10.9 percent higher year-over-year and operating profit of KRW 2.4 trillion will see an increase of 84.5 percent over 2016.